Zc281. 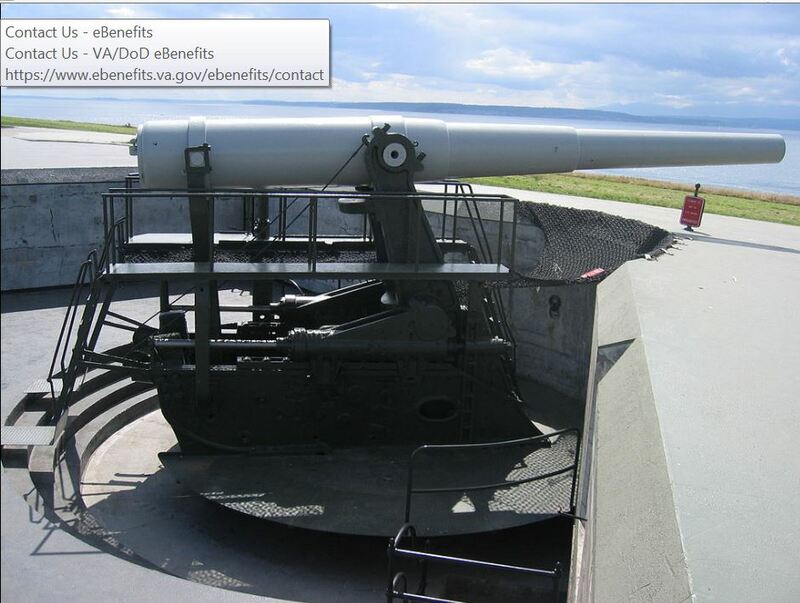 Fort Casey 10 inch Disappearing Gun, this image came from Wikimedia Commons. First segment of 9 images. My friend Charlie Moser helped dismantle the two (2) 10 inch guns of Battery Warwick on Grande Island, the ex Fort Wint, 50 years ago. On the 11th of Aug. 2018 the Fort Casey Washington State Park will celebrate the arrival of the “Big Guns “from the ex Fort Wint on Grande Island in Subic Bay. Zc301. Battery Flake, 3 inch guns, 4 gun battery, Fort Wint on Grande Island in Subic Bay 2018-07-20. Because of the Fort Casey Big Guns 50th Anniversary on the 11th of Aug. 2018 we visited Grande Island and took some pictures. My friend Charlie Moser helped take the 10 inch guns apart 50 years ago and will join the 50 year anniversary at Ft. Casey State Park. The first resort on Grande Island failed, my opinion, and is now controlled by new investors from Mainland China. 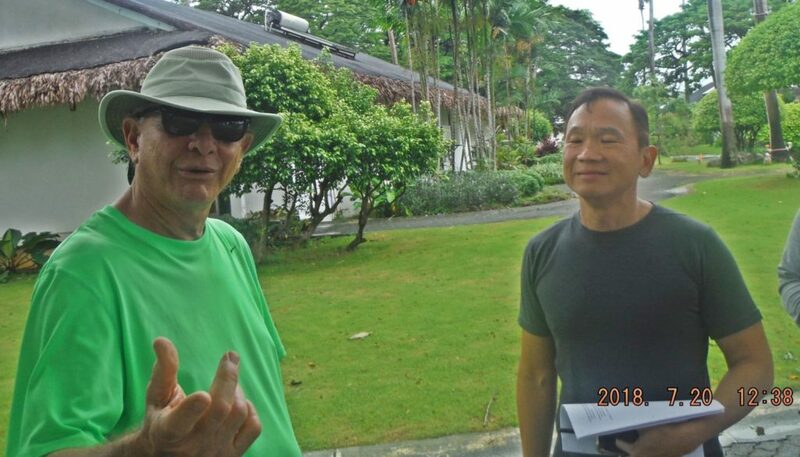 The new General Manager, a 2nd generation Filipino-Chinese, David Du, took us around. 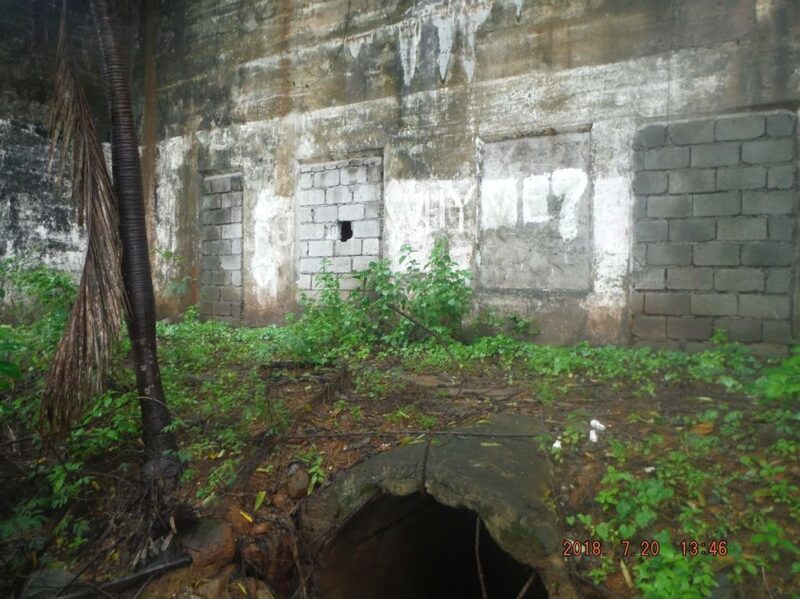 I contribute much to a web page of Fort Wint on Grande Island and our hosts were very much interested in our history about this island and this battery. They have big plans but when will they come to fruition-who knows? We did not have enough time to make a comprehensive image coverage. Battery Warwick is covered separately in an album in my Flickr account, click here. Zc302. 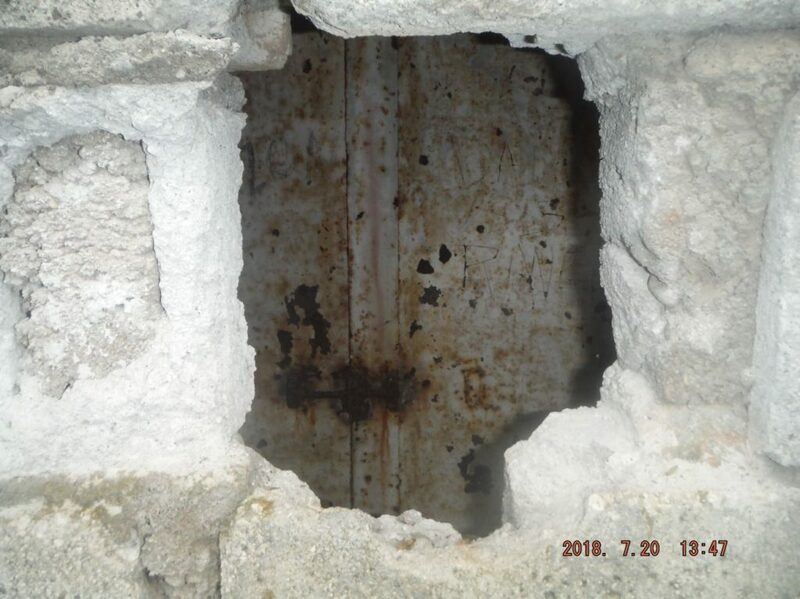 Battery Flake, 3 inch guns, 4 gun battery, Fort Wint on Grande Island in Subic Bay 2018-07-20. The new General Manager, David Du, gave us a personal tour and asked a lot of questions about the history. We started out at Battery Flake. Zc303. Battery Hall, 6 inch gun, 2 gun battery, No.1 Gun, Fort Wint on Grande Island in Subic Bay 2018-07-20. In the picture is the new General Manager, a 2nd generation Filipino-Chinese David Du and his son. Zc304. 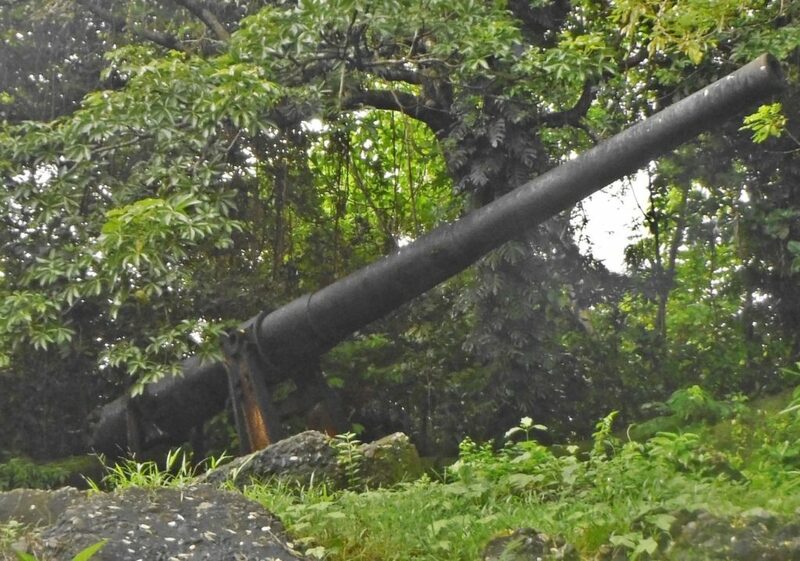 Battery Hall, 6 inch gun, 2 gun battery, No.1 Gun, Fort Wint on Grande Island in Subic Bay 2018-07-20. This view is from the area of No 2 Gun. The first resort on Grande Island failed, new Mainland Chinese investors are in control now, but when will it be complete, unknown. Zc305. 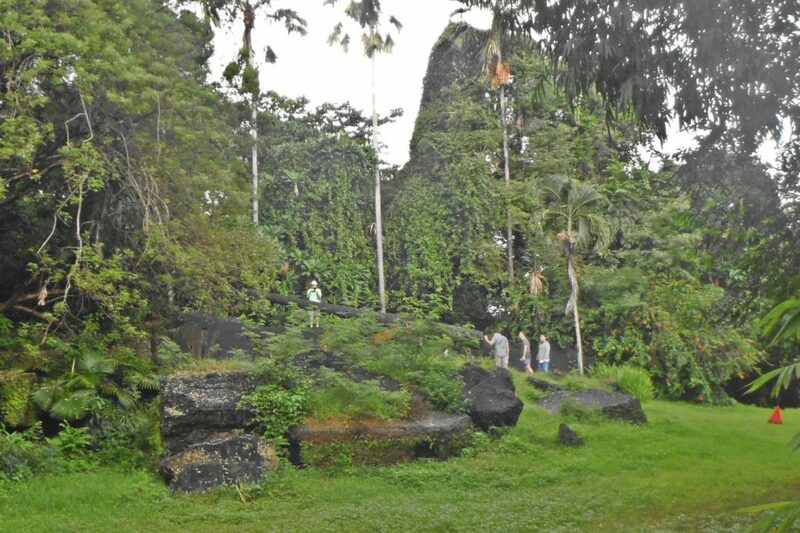 Battery Hall, 6 inch gun, 2 gun battery, No.2 Gun, Fort Wint on Grande Island in Subic Bay 2018-07-20. Zc306. 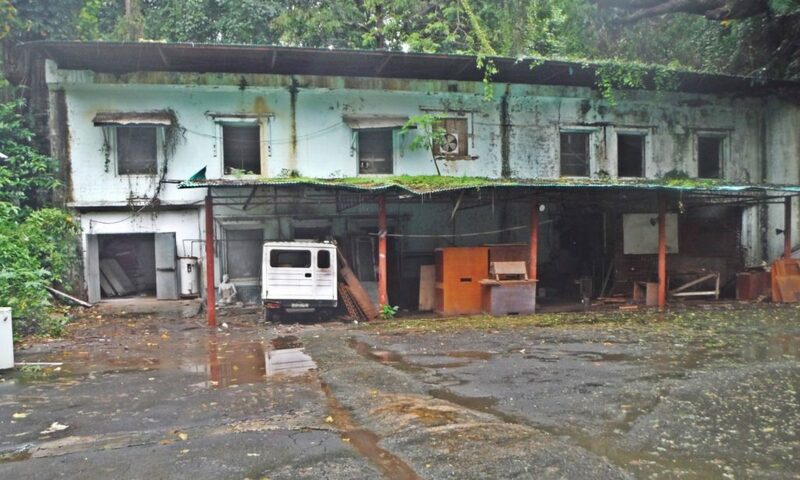 The former Fort Wint Power Plant on Grande Island, Subic Bay and now part of a new resort investment, which is not open yet and it is under the jurisdiction of the Subic Bay Freeport Zone (SBFZ) , the former U.S. Naval Base. Zc307. The Mining Casemate, notice all the doors and windows are closed with bricks, one hole was made thru the bricks; what will we see? Zc308. The Mining Casemate, notice all the doors and windows are closed with bricks. This opening, one out of two, is one of the tunnel runs for the mine cables to run out to the mines. Zc309. Looking thru that opening, thru the brick work that closed all the windows and doors, well, the armored steel doors and window seem to be still in place. 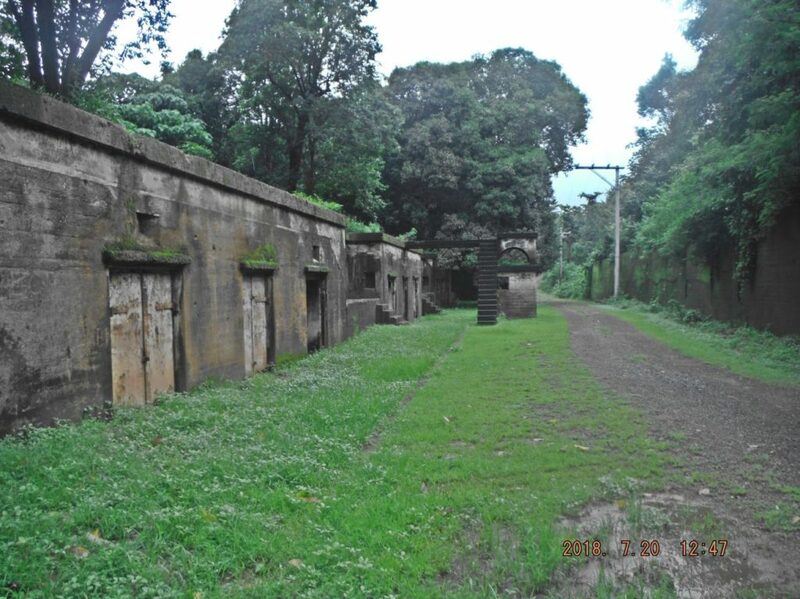 This is the mining Casemate on Fort Wint, Grande Island, and SBFZ. Zc310. The break-water at the north-west corner of Grande Island, the former Fort Wint. 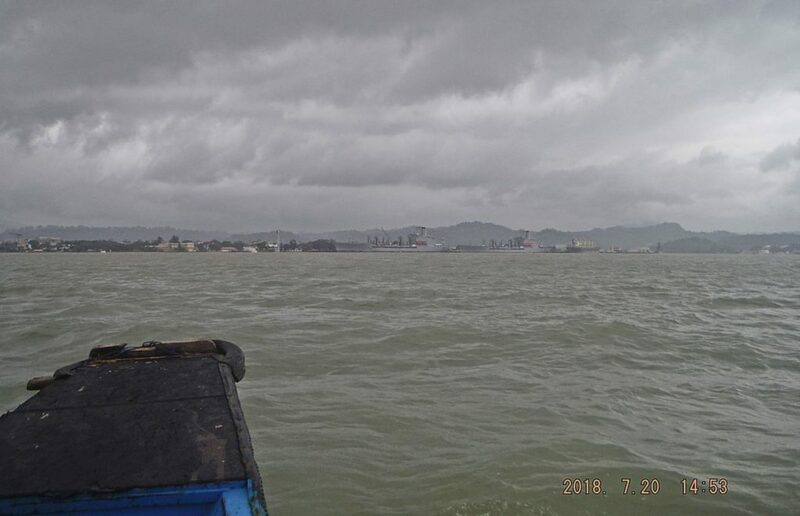 Today, the 20th of July 2018; it was a very rainy day and the sea was choppy, swells were coming into Subic Bay from the south west. Charlie came to visit from Hawaii and wanted to go to Grande Island, the ex Fort Win, to take pictures of Battery Warwick. The two 10 Inch guns of Battery Warwick were dismantled and shipped to the Fort Casey Washington State Park 50 years ago. Charlie helped dismantle those guns and is invited to speak at the 50th Anniversary of the arrival of the “Big Guns” in Ft. Casey. The first resort on Grande Island was not successful, they had started about 2004. It is closed now. 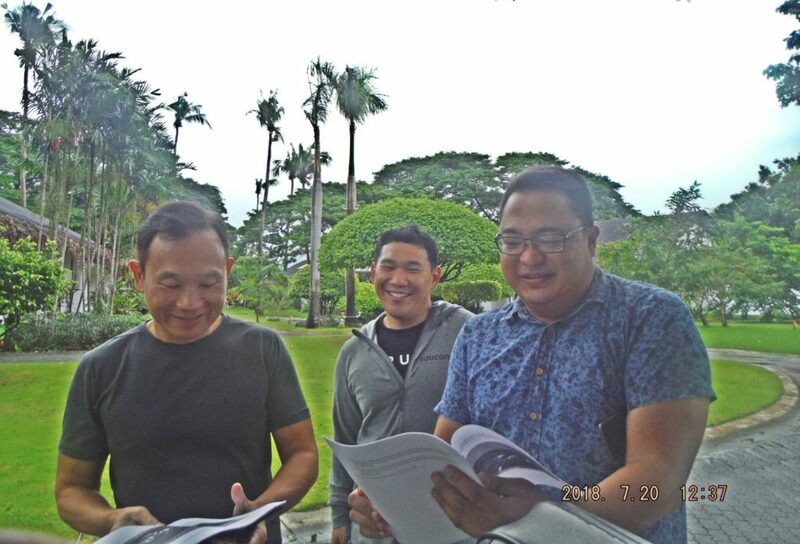 But thru luck we were able to get on the island on the 20th July 2018, met the On-Island Manager Christopher Andrada, and more important, the General Manager David Du was on the island that day. Both managers were glad to see us and hear about the history of the island and the fort. Mr. David Du is a 2nd generation Filipino-Chinese, he told us that Mainland China investors are now in charge and have plans to develop Grande Island anew. He could not give us an completion or opening date, so who knows when? Zc311. 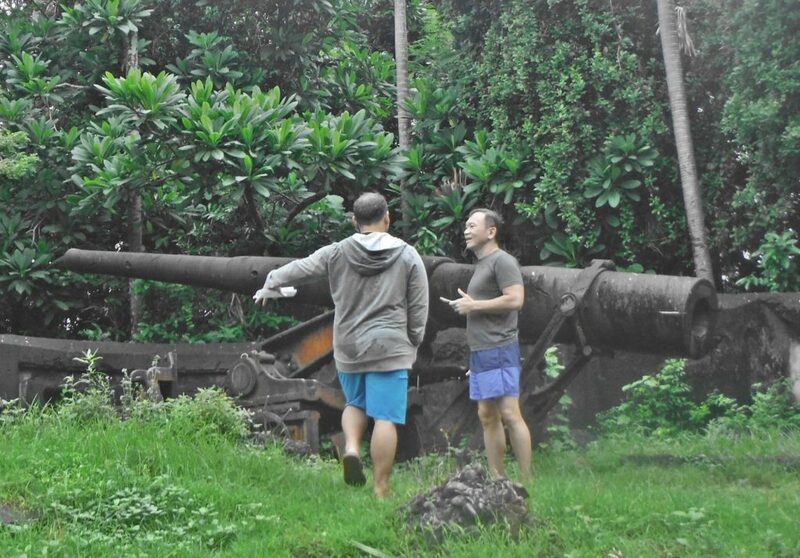 The General Manager David Du, his son Chris and the On-Island Manager Christopher Andrada, look at the history of the Battery Warwick 10 Inch guns. My shipmate Charlie Moser brought the printed material down from Fort Casey Park, he printed several copies, gave them to those Gentlemen and I got one copy also. Zc312. Charlie Moser and the General Manager David Du converse on Grande Island on the 20th July 2018. 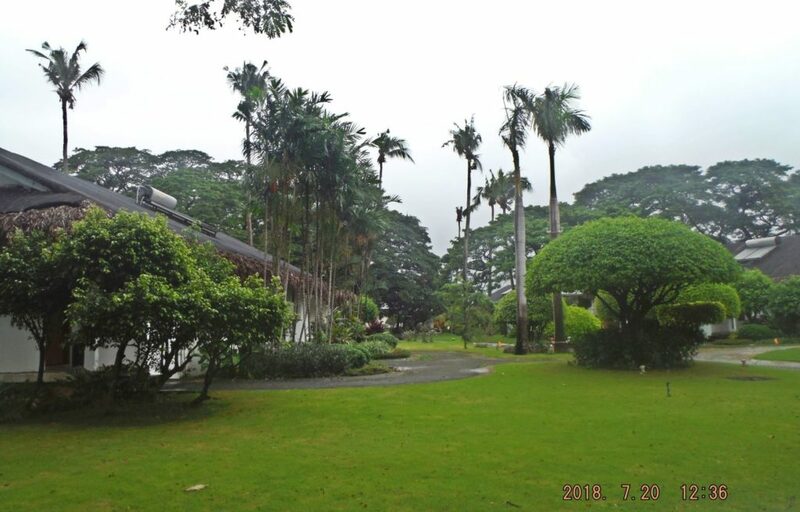 The greenery of the resort looks pretty good and the new management will make landscaping a priority. Zc313. Charlie Moser shows the General Manager David Du and his son pictures of the 10 Inch Guns, as they were dismantled, shipped and remounted at Ft Casey. Zc314. No 1 Gun of the 6 Inch Battery Hall, at the ex Fort Wint on Grande Island, people are right to left, Charlie Moser, David Du, David’s son and Karl Welteke 2018-07-20. Nine (9) images have been uploaded into this Photobucket album, click here. Zc315. 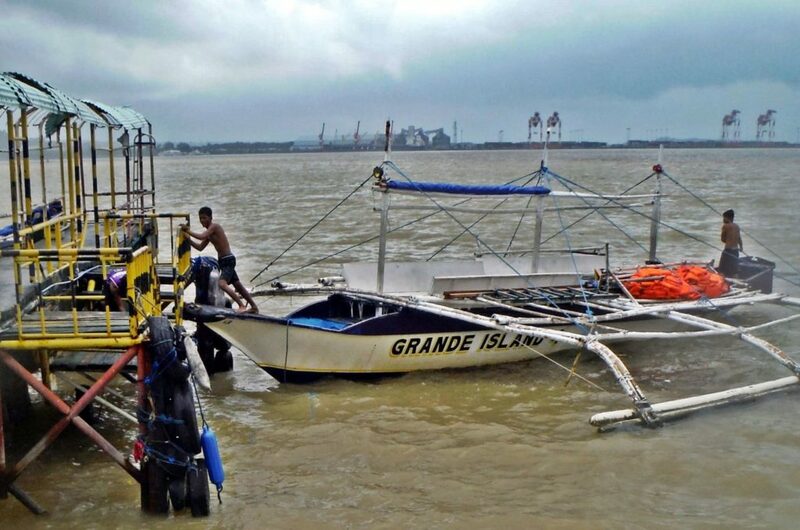 This is the Grande Island Resort boat landing, one of their big boats, white, is at left. An outrigger boat arrived to pick us up. 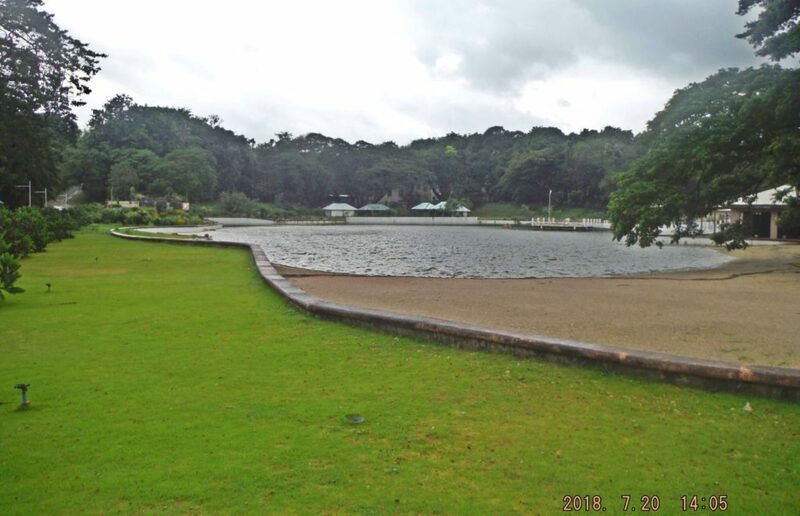 This was the site of the Navy Officer Boat Landing in the early days. These outrigger boats are NOT VERY GOOD TO LAND ON PIERS OR DOCKS. It was a choppy seas day and the crew had to struggle to keep us and the boat safe. In back we see the Leyte Wharf, the former Aircraft Carrier Pier, a merchant ship is alongside. Next to the Leyte Wharf have risen a huge bulk grain warehouse and about 5 silos. It is now a grain port. To the right was the famous actual geographic Cubi Point that is where the Officer Beach used to be. It is a big container port now. Zc316. This is the reception area of the Grande Island Resort, it was built around 2004 but now new investors from Mainland China will try to revive it. Right now it is closed to the public. Zc317. 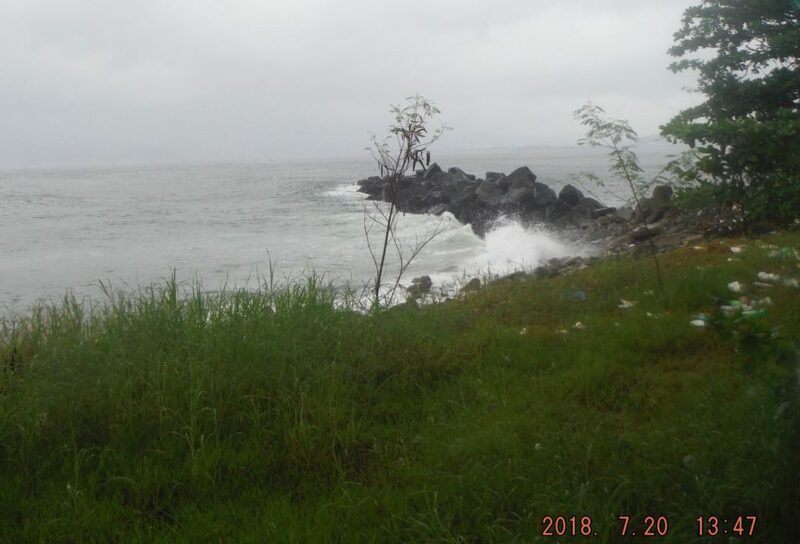 This is much of the north side of Grande Island, the former Fort Wint, much of this side, the east south side can be used for swimming, the west side is very rocky. Whatever the Navy had here IS GONE! Zc318. The distance from Grande Island is about 7 ½ Km, it was choppy and took some time. We are on our return trip. Ahead, along the Alava Extension Wharf, are two USNS Ships, a merchant and Philippine Navy war ship. 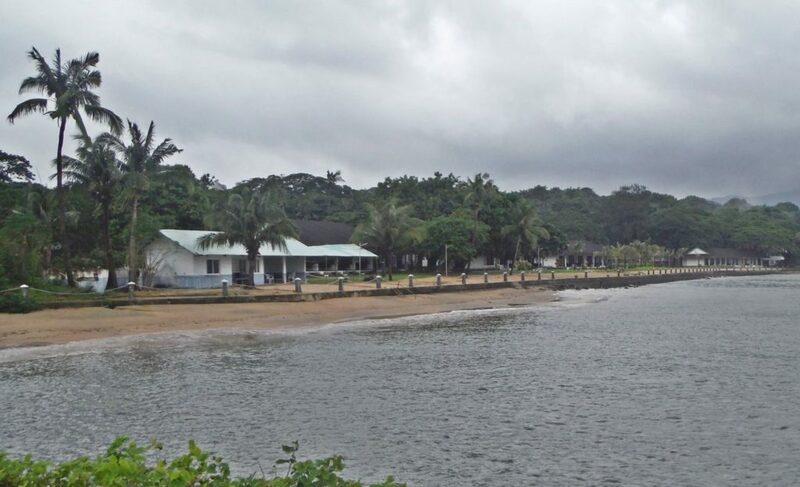 GRANDE ISLAND RESORT, HOW IT LOOKS NOW, 2018-07-20. Fourth and last segment of our visit to Grande Island, the former Fort Wint, THESE ARE THE RESORT PICTURES..
My friend Charlie Moser and I wanted to see Battery Warwick and take pictures for the 50th Anniversary of the “Big Guns” (10 Inch Disappearing Guns) arriving at the Fort Casey Washington State Park 50 years ago. We were lucky and met the right people and were invited to come on the island. I already uploaded pictures, about Battery Warwick, other batteries and the boat trip. This is the last presentation of some images of the resort. In about 2004 investors built a resort on Grande Island, the former Fort Wint, but it was not successful. For some time now the resort is closed and Grande Island is not available to be visited by the general public. 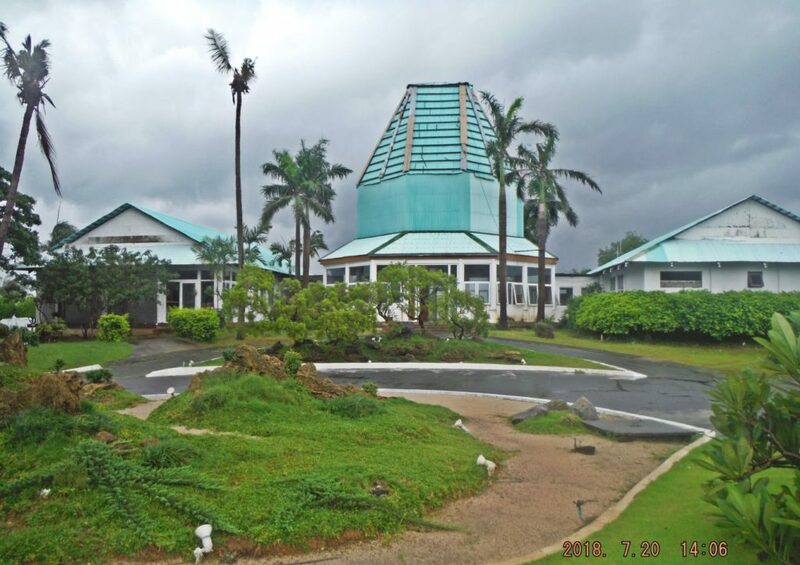 The new General Manager, a 2nd generation Filipino-Chinese, said that other Mainland Chinese investors got control of this resort and have plans to revive the resort. He said they will specialize in landscaping and are working on that right now. The existing landscaping still looks pretty good! 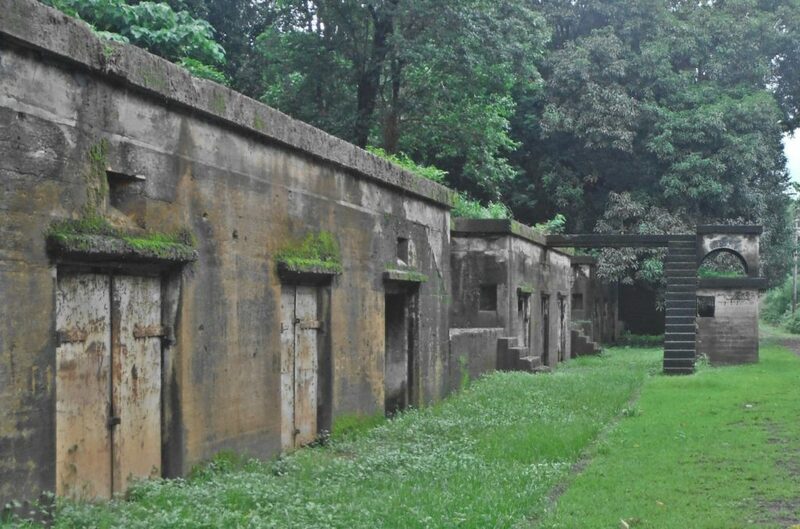 They do want to take advantage of the former Fort Mills Battery structures and maybe even mount some guns made out of synthetic materials, and make them part of the attraction. The chalets will be two storey structures, no work has been started. The wave pool, which was the baseball field, is now stocked with fishes. The hotel and restaurant are going to be renovated. It was not clear to me as to when they are planning to open it, so who knows? Zc319. This is the resort on Grande Island, the former Fort Wint, 2018-07-20; landscaping between the chalets. Zc320. 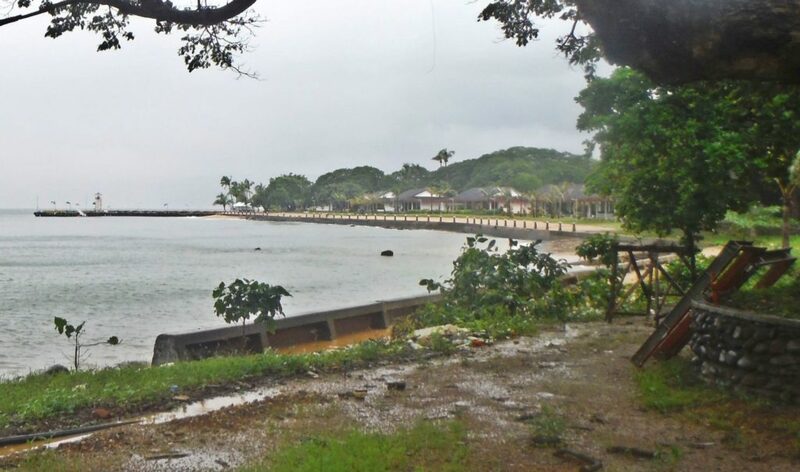 This is the resort on Grande Island, the former Fort Wint, 2018-07-20; we are looking from near the breakwater from west to east along the north beach/coast. This is the main beach now and was for the Navy before. Zc321. 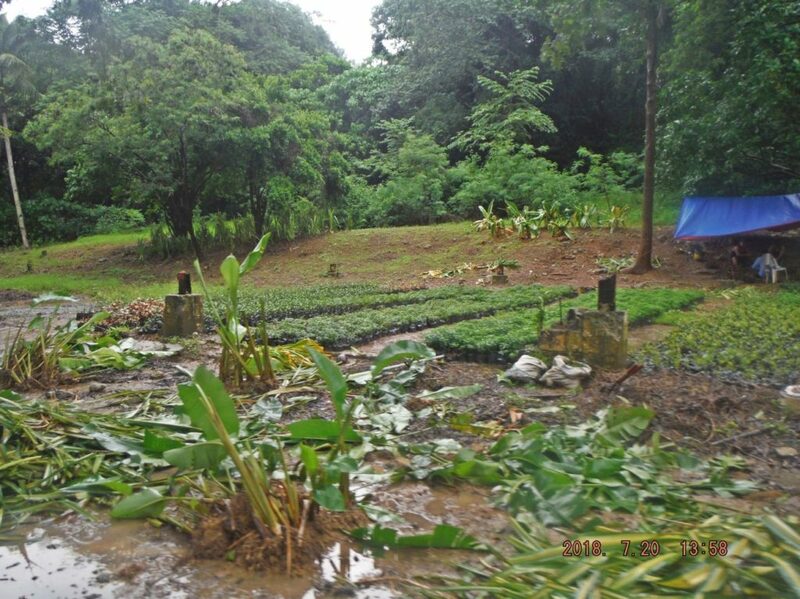 This is the resort on Grande Island, the former Fort Wint, 2018-07-20; this is one of their seed beds for their landscaping work. 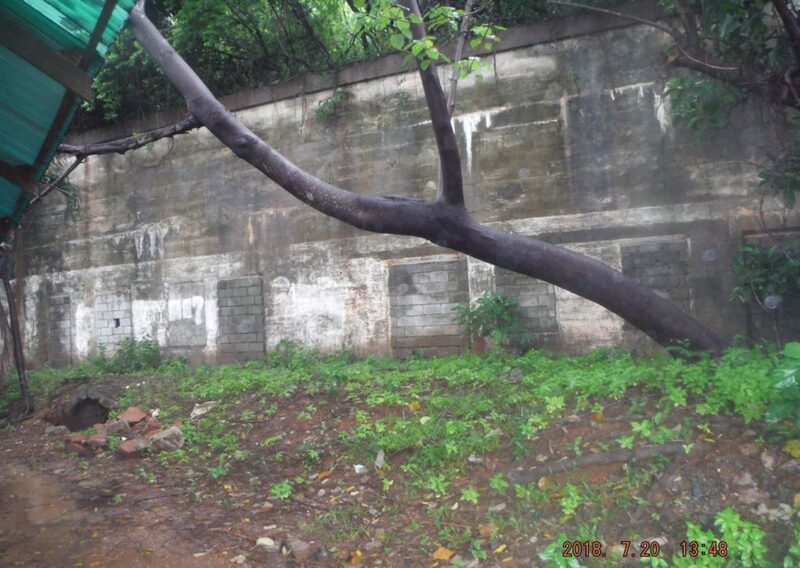 This is located where the Army barracks were, one can see the foundation posts. Zc322. This is the resort on Grande Island, the former Fort Wint, 2018-07-20; we are looking to the south across the wave pool, which is now a fish pond. Left we see the road that leads to Batteries Flake and Hall. This was a ball field during our time. Zc323. 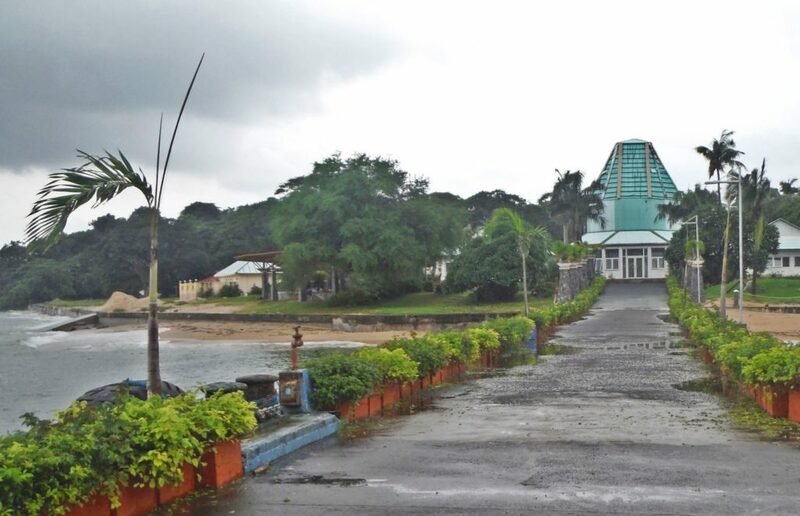 This is the resort on Grande Island, the former Fort Wint, 2018-07-20; we are looking at the front of the reception building as we step off the pier.